Saturday saw the playing of the men’s major pairs final for 2018 between Michael Waller/Peter Brasnett and Roger Haddrill/Darren Seton. Each team began well, with Haddrill and Seton getting on top in the early stages, before Waller and Brasnett won four ends in a row to take a 2-shot lead after 12 ends. The match continued to be a tight affair before Haddrill and Seton skipped away at the finish to record a 26-16 victory and become the Club’s 2018 men’s major pairs champions. Congratulations to both lads. In open singles action, Dan Seton and Andrew Brasnett were involved in a high-quality match that saw Dan come out on top in a 33-22 result; and Laurie Thompson got out to a solid early lead and proved a little strong for Nick Moody, winning that match 32-15. 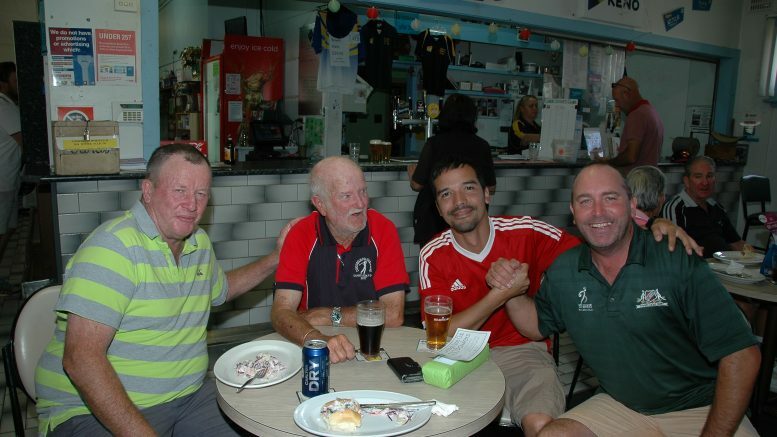 14 turned up to play social bowls on Wednesday. Laurie Thompson and Peter Brasnett defeated Lenny Pawsey and Darren Seton 21-9; Chris Winn and Dan Seton won 18-10 over Nick Moody and Max Johnson; and Dave Carter, John Dopper and Mick Waller snuck in 17-16 over Bianca Carter, Al Stuckey and Eric Mitchell. 16 bowlers played on Sunday in support of CanAssist. Thanks to all those bowlers, golfers and croquet players who turned up for the day. Jenny Tickle and Dave Carter had it all over Liz Goodsell and Mick Waller, winning 21-14; Bianca Carter and John Dopper won their match 15-13 over Nick Moody and Pauleen Dimos; Tracy Powell and Al Stuckey had a solid 22-17 win over Joyce Kendall and Brian Tickle; but the winners on the day were Juan Burbano and Ian Simpson, who had a 17-13 win over Tim Foster and Eric Mitchell. This weekend will see our two pennant grades heading off to compete at the Zone Championships, with about 30 bowlers leaving town for the weekend. Hopefully this time around we won’t be hornshwaggled by the young scamps who gave us the bowls equivalent of a flaming brown bag on the doorstep when we arrived in Dubbo the last time we headed off to Zone! The 6’s are off to Forbes and the 7’s are off to Lithgow for a shot at moving on to the State titles in their grades – good luck to all involved. Men’s social bowls will be on this Wednesday (names before 1.30pm for a 2pm start). No Sunday bowls this week due to the probable lack of available bowlers.